When it comes to running a PPC campaign, there are some key statistics that advertisers should keep up to date with, and analyse to make sure their campaign is running smoothly, whilst delivering the desired results. Two common stats that are looked at closely tend to be the click through rate and conversion rate. A high click through rate suggests that your ad copy is effective in grabbing the web user’s attention, whilst also bringing forward the point that the traffic you are targeting is highly targeted to your ad copy, and therefore genuinely interested in the contents. A high conversion rate continues these points, whilst also signalling that the content on your landing page encourages the web user into conversion. It also signals that the type of landing page you have gone for is effective at gaining the action you want from the web user, be it a click, lead capture, purchase and so on. This makes it clear that these stats are quite important to a PPC campaign, which is why I am about to tell you why you shouldn’t really care about them – sounds counter-intuitive? Spot on. But, before you come to any conclusion, read the two reasons below. 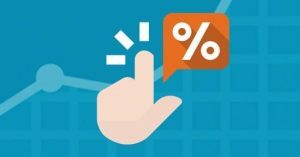 The conversion rate signals the percentage of PPC traffic that performs the action you want them to do on your landing page. As much as the conversion rate, by itself, is a great way to assess the effectiveness of your landing page, it is not that good to assess how good your campaign is running overall, which, of course, is more important. For this reason, it is a good idea to look at the cost per conversion rather than just the conversion rate alone. For example, if you have a high conversion rate, then you might think everything is going great…until you realize that it is costing you an arm and a leg to fund your PPC campaign. The cost per conversion takes into consideration the conversion rate of your landing page, as well as everything prior to landing onto your landing page, making it a better stat to follow closely. Why are People Clicking on Your Advert? The click through rate of a search advert is usually used as a way to assess the performance of it. However, it does not take into consideration why people are clicking on your advert – this is extremely important. For example, you might have an extremely high CTR. But, when looking at the ad copy, you might be offering a bunch of incentives that are just not feasible for your business to maintain, such as huge discounts, freebies etc. They might not relate to the conversion you want on your landing page. When the web user lands onto your landing page, they might see they don’t get what you promised, or it was ‘too good to be true’ – this is where the cost per conversion will come in handy.